As a company we have invested heavily in new equipment to both speed up our repair process but more importantly improve our environmental responsibilities. 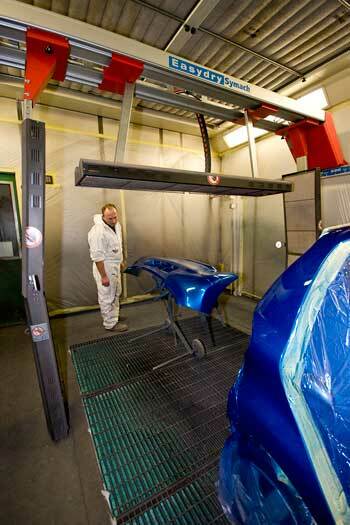 Our spray booths are now fitted with robotic infa red drying equipment, this enables us to dry paintwork in as little as 6 minutes but most importantly reducing our energy consumption by 80%. By investing in eco repair systems, we are now able to repair far more panels than before therefore reducing the amount of waste produced in the repair process and equally important to our customers reducing the cost of repairs. All of the waste produced by the company is segregated and sorted. 80% is recycled. Water based paints are used reducing drastically our emissions into the environment.